In yet another major initiative, the Ministry of Urban Development today launched the ‘City Liveability Index’ for measuring the quality of life in 116 major cities including smart cities, capital cities and cities with a population of above one million each. The Index, a Common Minimum Reference Framework to enable the cities know where they stand in terms of quality of life and the interventions required to improve the same was today launched by the Minister of Urban Development Shri M.Venkaiah Naidu here today at a National Workshop on Urban Transformation. Stating that cities are now moving on a well thought out course of infrastructure development under new urban missions launched during the last three years, Shri Naidu said “ Time has now come to measure life quality in cities and rank them accordingly”. The Ministry of Urban Development today disbursed Rs.500 cr as incentive to 16 States that performed well in implementing urban reforms during 2016-17. Progress in respect of reforms like e-governance, Audit of accounts, Tax revision policies and extent of tax revenue collection, Energy and Water Audit, Establishing State Level Financial Intermediaries for resource mobilization, Credit Rating etc., was taken into account. 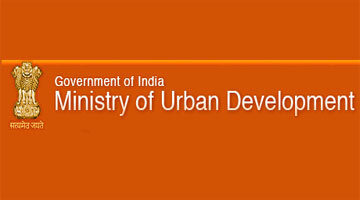 Shri Rajiv Gauba, Secretary (UD) said that reform incentive fund for the next three financial years will be increased from the present allocation of Rs.900 cr to Rs.10,000 cr to promote next generation reforms that would make a substantial difference to urban governance and service delivery and resource mobilization by urban local bodies.